Bloggers love planners. It's just a fact of life. As a planner addict, I can't help but get excited when I hear abut a new brand - especially if they make something that is specially designed with bloggers in mind. I find it so relaxing to write down my blog ideas, my to-do lists and make charts on when I'm uploading content so planners are ideal for me. When I went to the Blogger's Tiki Party, I was lucky enough to meet a brand called TOAD Diaries who very kindly gifted me a prototype of their new Blogger's style planner to give a thorough test to see if it is any good for us bloggers. TOAD originated from founder Tim's need for a diary in the middle of the year. He couldn't get one anywhere that wasn't an ugly design or wasted the first months of the year, so he went about designing a brand that could offer the perfect diary for anyone, any time of the year. 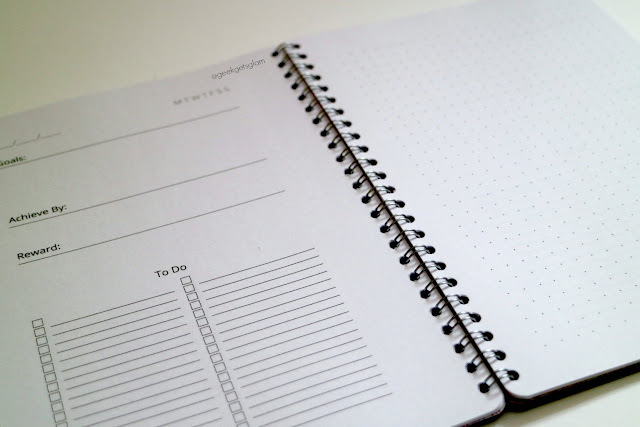 I love the idea of a customisable diary and I can see how that would appeal to a lot of people! The planner itself is very small and lightweight which is great for popping in your bag to take around with you. This is great for myself as I like to blog in different places, and I like gong to events, so this kinda size diary is great for me to take travelling without it feeling like an extra weight in my bag. 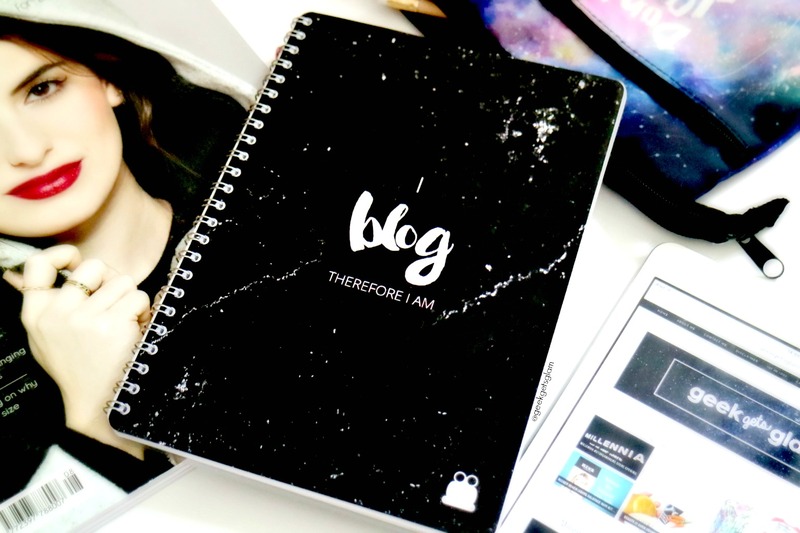 The design is a black & white marble style with "I Blog Therefore I Am" on the front. I don't always like the cheesy phrases on the front of planners, but I don't mind this one so much as it keeps my mind focused on it being a planner for my blog and nothing else. The one thing I do hate about this planner? The wiro bound. It reminds me of the crappy planners we used to get dished out at school and I hated them - I'd much prefer this planner in a soft feel or hardback style binding but I guess that's just personal preference! When you open the planner, you're greeted with a colourful inside cover consisting of inspiring quotes, and a place to jott down your contact details in case you lose your journal. At the back is a handy plastic pocket that I'm currently using to stash my receipts and train tickets in. The planner itself is actually very well laid out. It's made up of half planner, half bullet journal. Now I've not owned a bullet journal before but Im finding it's complementing the planner side really well. I have my goals and to-dos on the left, then more creative bullet journals in the right - it's ideal! There are also some colourful pages in the back of the planner which are great for making notes. I am really enjoying using this TOAD diary. It's perfect for my blogging notes, and keeping my ideas for content organised in once place. I think the mix of traditional and bullet journal is a great idea and works well for my creative way of thinking. The only downside to this planner is the wire binding and plastic cover, but that could easily be customised by TOAD, and also I wish it had more pages in! I will be purchasing from TOAD again and hopefully I'll be able to get a blogger planner similar in the near future. *Disclaimer: The item featured in the blog post was gifted to me. Content written by myself.